Everything went wrong that day. The ear buds still work, though! Whew, I’ve bought too many of those already. I’m excited to attend CCAD’s Mix 2012, a comics symposium at my alma mater. The sessions look great. Even more excited to see friends and family. 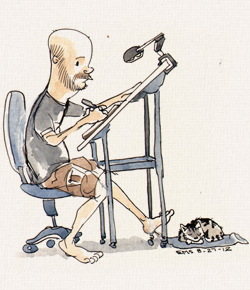 Panel 1: Hands open a tube of white gouache. Panel 2: The bottom of the tube explodes, all over the lap, the shirt and shorts are covered in white paint. 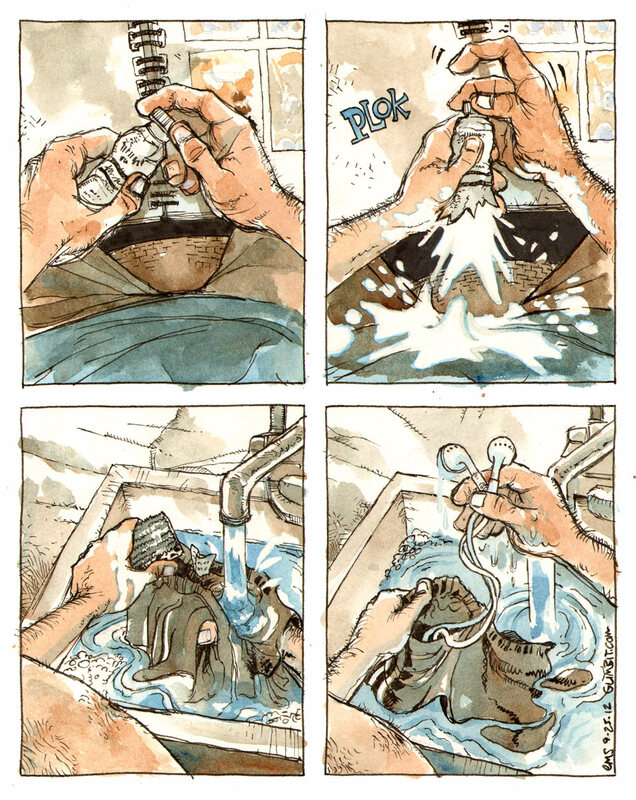 Panel 3: At the sink, washing the shorts. Panel 4: OH, I left my ear buds in my shorts. They may be soaking wet now, but at least they’re clean. At least the artwork was saved…! ?